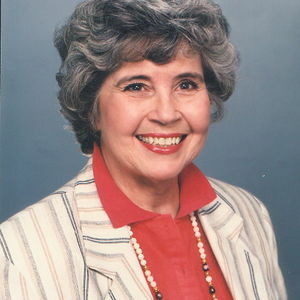 Margie Evelyn Peloquin, 81, of Baytown, passed away on Wednesday, July 11, 2007, in her home. Margie was born April 29, 1926, to Claborn and Beadie Hooper in Goodlett, Texas. She graduated Valedictorian of her senior class from Cedar Bayou High School in 1945. Margie remained a lifelong learner and avid reader throughout her life. Her family celebrates her life as a lover of trees, crosswords, books, life, any worthy challenge, and as a true southern lady. She was a member of Cedar Bayou Methodist Church. Margie retired from GTE in 1990 after many years of faithful service and career growth. She will be deeply missed by all family and friends who knew and loved her. Margie was preceded in death by her parents, brothers, Clifford Hooper and Alvis Hooper; sisters, Ruby Herron and Rosemary Hooper, and former husband of 20 years, Allen Peloquin. She is survived by daughter and best friend, Susan Peloquin of Baytown; sons, Allen Peloquin and wife, Cheryl of Austin, TX., Jason Peloquin and wife, Leslie of Baytown, Paul Peloquin and wife Lenay of Baytown: brothers Wayne Hooper of Baytown, and C.M. Hooper Jr. of Hamilton, TX; Sister, Edna Mulkey of Hamilton, TX; Grandchildren, Lyssa Peloquin, Brynn Peloquin, Lacee Peloquin, Greg Peloquin, Somer Peloquin, Kylie Peloquin and Logan Peloquin; and treasured friends, Billie Jean Wright, Loetta Sossaman, Nancy Robinson and Dee Dee Mondini. A memorial service will be held at 10:00 a.m., on Saturday July 21, 2007 at Cedar Bayou Methodist Church, 2714 Ferry Road, Baytown, with Reverend Tommy Lyles officiating.